Kant TSP LLC is the largest enterprise in Kyrgyzstan, producing high quality chrysotile cement products with up-to-date equipment. 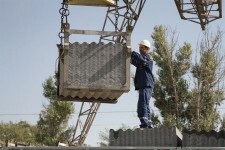 Kant TSP LLC is a part of holding companies producing roofing materials, including Kuvasaishifer OJSC, which is one of the leading manufacturers of cement fibrous products in the Republic of Uzbekistan. Being 50 years on the market of roofing materials our enterprise has proved itself as a reliable and conscientious partner. 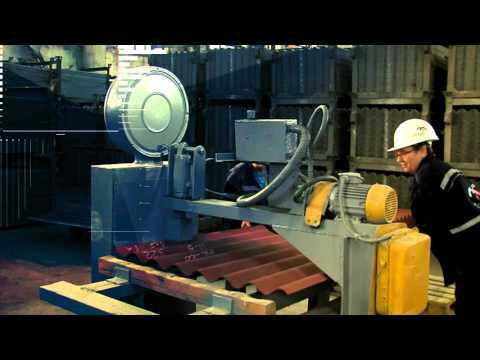 1967 year – start of slate production by 3 operation lines. 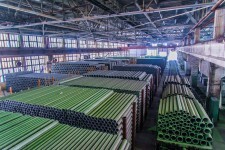 1968 year – start of production of chrysotile cement pipes. 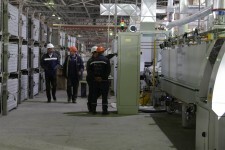 1970 year – launching a second pipe-molding machine, double increase in volume of output products for piping production. 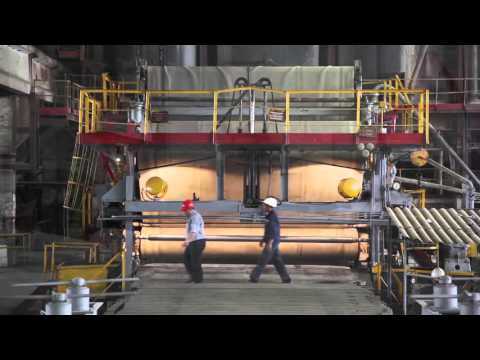 1985 year – 2 more operation lines for slate production are placed into service that allowed to increase the volume of output by 40%. 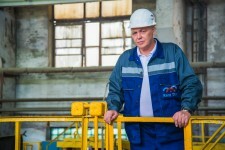 2007 year – Division of Kant cement-slate combine OJSC into 2 independent enterprises – KCP OJSC and Kant TSP LLC – Kant TSP LLC today. • Kant TSP LLC (Kant pipe-slate enterprise) is located in the Chuy Valley, 22 km north-eastward from the capital of Kyrgyz Republic, Bishkek • Today we specialize in production of chrysotile cement corrugated sheets and chrysotile cement pressure and non-pressure pipes and couplings of various type and diameter • Kant TSP LLC is the only enterprise in the territory of Kyrgyz Republic, which produces high quality chrysotile cement products confirmed by Government Certificates of Conformance for each type of products. 2011 year – shifting to slate production 5,2 mm thick, opportunity to offer customers more light and quality product, since better brands of chrysotile asbestos started being used. 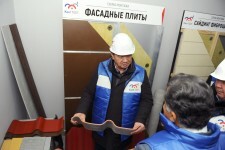 2012 год – start of short-cut slate production. Short-cut sheets have smaller sizes, easier assembling and wide range of various painting (at Customer’ option), that significantly extend opportunities for slate application, improve outward and roofing design of a building. 2013 year – start of five-corrugated slate production. 2014 year – variety expansion of produced pipes, start of production of non-pressure pipes Ø100. 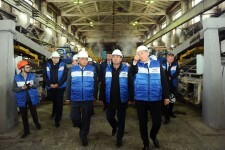 2015 year – start of production of fiber-cement flat plates of different sizes, colors and texture. 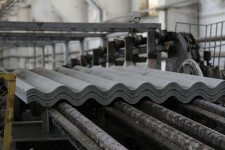 Also production of sand-cement tile was launched. 2017 year – our enterprise will celebrate 50th anniversary of successful and fruitful work of the plant. ► Partnership with mutually beneficial results. The enterprise also pays considerable attention to development and professional growth of its employees. Employees have an opportunity to participate in various seminars and trainings in the country and abroad, intended to improve professional skills of the employees. For the purposes of improvement of product quality, foreign specialists from India, PRC, Belgium, Republic of Pakistan, Italy and Australia, etc. are involved on the regular basis.